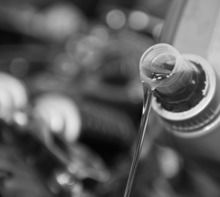 The key to diesel vehicles passing the new MOT service may be as simple as using the correct low SAPS oil on diesel cars, according to lubricants expert Comma Oil. Taking extra care in using the correct low SAPS oil may reap the rewards for garages across the UK, easing diesel-powered cars through the new MOT and protecting customers from penalties. Introduced on the 20th May, the new MOT has made substantial changes to the service, tightening the rules for diesel cars in particular. Chief among those is a hefty £1,000 fine for owners found with a tampered or clogged Diesel Particulate Filter (DPF), a device which removes soot from exhaust gas to dramatically lower diesel emissions - when kept in good condition. Yet most models require specific grades of low SAPS oil, meaning garages need to take extra care when servicing diesel cars during their MOTs. Using high quality low SAPS oil can optimise diesel engine performance by lowering emissions and prolonging the lifetime of DPFs. This keeps diesel engines running efficiently for longer whilst avoiding costly MOT penalties and replacements. Mike Bewsey, Sales and Marketing Director at Comma, commented: "When it comes to the diesel engine, the smallest change can often have a big impact. Something as simple as using the right low SAPS oil and opting for a higher-grade version can mean the difference between an MOT pass or fail. But beyond this, it can also mean the difference between a good level of service, and a bad one. "The new MOT is putting diesel engines under more scrutiny than ever, and garages have a real opportunity to help keep the millions of diesel drivers on the road - reaping the rewards in doing so." Comma Oil & Chemicals Limited was founded in 1965. As a world class manufacturer and supplier of automotive lubricants, chemicals and car care products, the Comma brand range of products for passenger, light commercial and heavy goods vehicles is distributed in more than 40 global markets to both professional mechanics and motorists.